16" Rainbow Trout from the Guadalupe River! 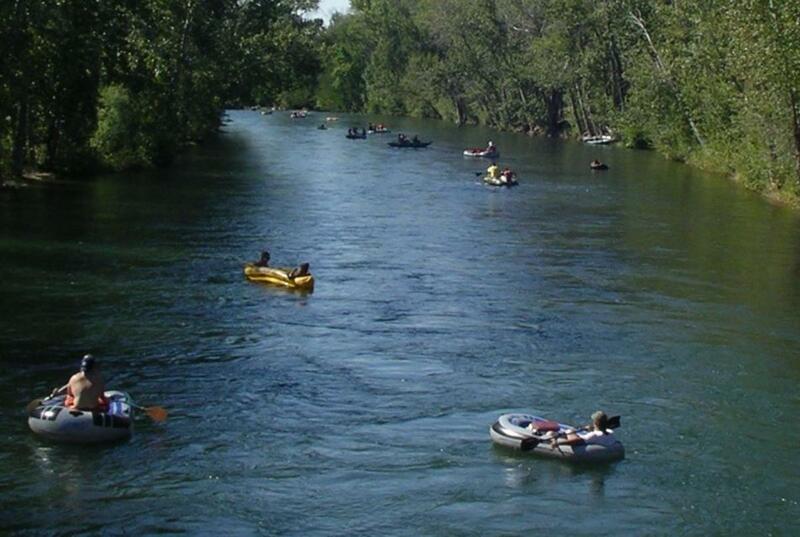 Rio Raft Company is located along the Guadalupe River near Sattler,Texas. It is a privately managed resort that offers River Cabins, River RV Camping, Kayaking, Tubing, and Fishing! 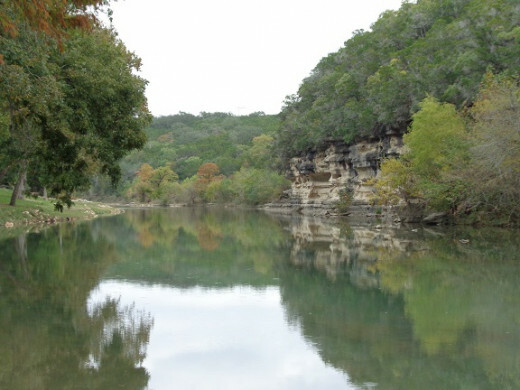 For the fisherman interested in Rainbow Trout fishing, Rio Raft Company is located near a Rainbow Trout stocking location used by the Texas Parks and Wildlife Department (TPWD) and Guadalupe River Trout Unlimited (GRTU) each Winter. For more on scheduled stocking dates, check out TPWD's Trout Stocking Schedule and look under the Canyon Tailrace section. For GRTU's stocking dates, information and scheduled dates are limited to members. For more information on becoming a member, do visit their website! 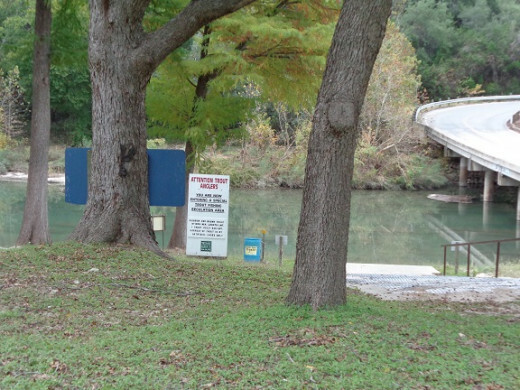 Overall the Guadalupe River will be stocked with almost 21,000 Rainbow Trout during the 2013-2014 Stocking Season! Rio Raft Company offers ease of access to the river and provides fishermen the opportunity to hook up with a feisty Rainbow Trout. Please note special regulations are in effect from the second bridge crossing on River Road upstream to the easternmost bridge crossing on FM Road 306. 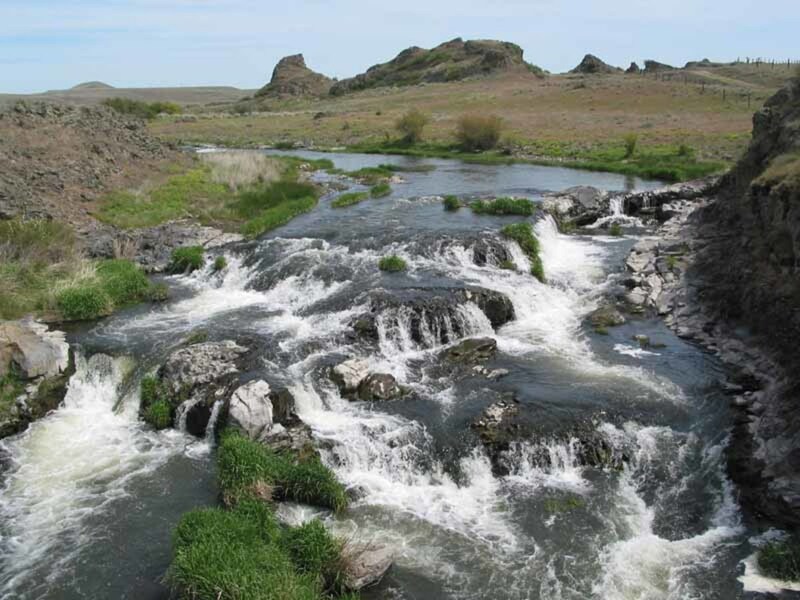 In this area, there is an 18-inch minimum size limit, a one trout daily bag, and the restriction that only trout caught on artificial lures may be harvested. Anglers may fish with all other legal means and methods, and may harvest all fish except trout. 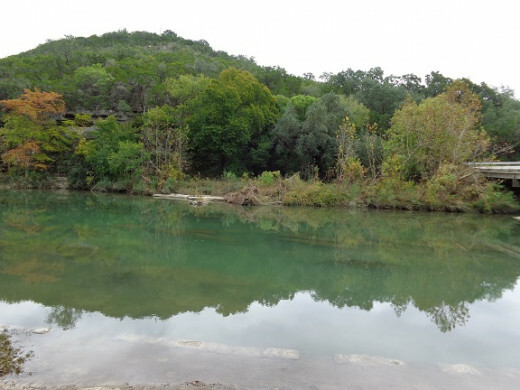 The majority of the riverfront property along the Guadalupe River below the Canyon Lake Dam is privately owned. Various campgrounds/resorts (including the Rio Raft Company) offer free river access and fishing to registered guests staying overnight. Moreover, a few campgrounds/resorts offer day use access for a nominal fee. Rio Raft Company charges $8.00 for its day use access fee (dated 11/6/13). This is paid at the campground store at the time of registration. After paying the fee, you will be issued a permit to hang on your rear view mirror, and then you will be directed to park in the day use parking area. View of the River from the Day Parking Area. From the day use parking area, you will see the Fourth Bridge Crossing. Just upriver of the bridge crossing, you will see the River Access Point that is used as a canoe/kayak and tube launch point. This is a good starting point when fishing for Rainbow Trout as stockings normally occur near this area. Also note the large prominent sign noting the area is part of the Special Fishing Regulation Zone. The Special Fishing Regulation Zone has one Rainbow Trout daily limit which must be a minimum of 18" in length to be legal. 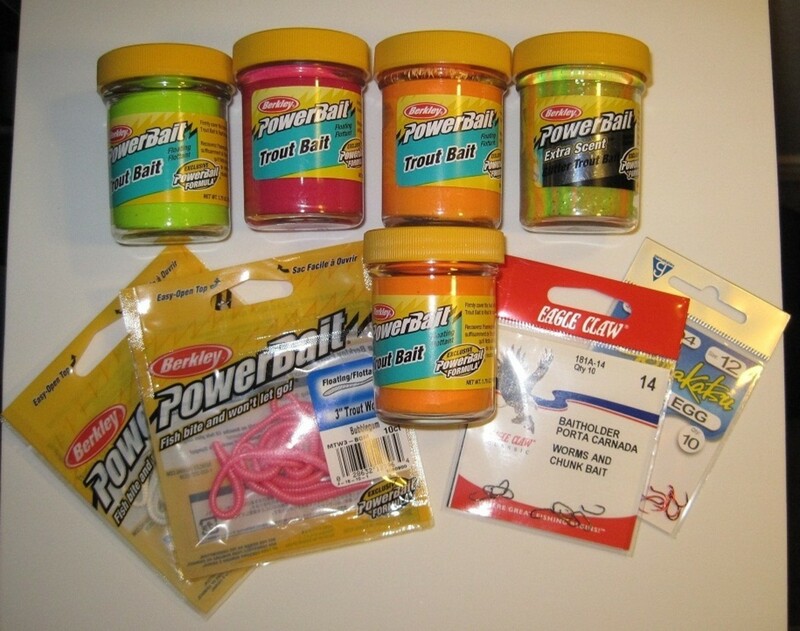 Moreover, artificial lures are required; the use of bait is prohibited to include lures with any scent and/or bait attached are prohibited. 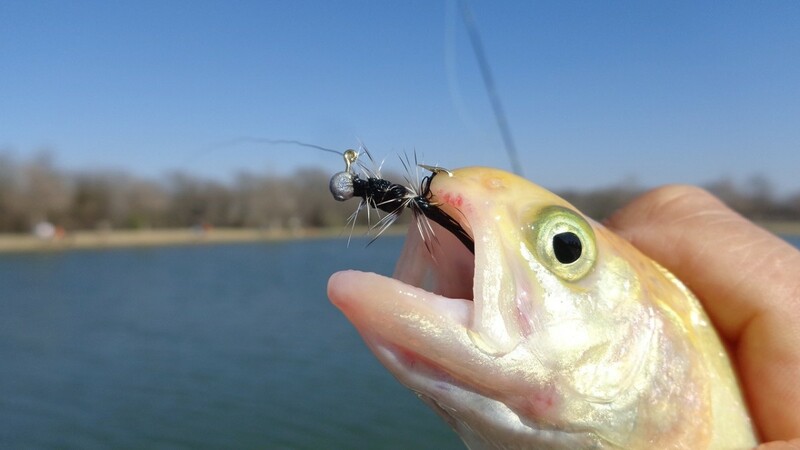 Note: As a general rule, consult the Texas Parks and Wildlife Department Fishing Regulations to remain up to date on the latest rules and regulations that apply. If in doubt, contact the Game Warden for clarification. 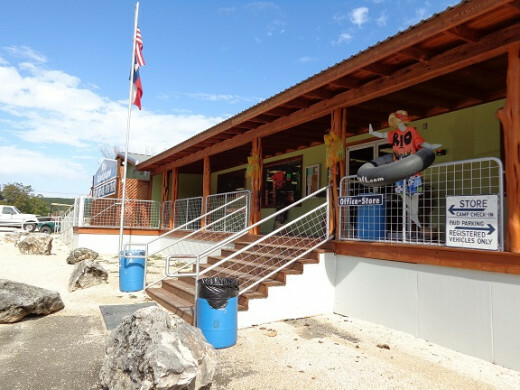 The Rio Raft Company offers a 1/4 mile of riverfront property. It is open to registered guests including visitors who paid the day use access fee. Moreover, it offers fishermen who are unable to wade the river, to fish from the bank. Note: Do bring chest waders and plan on wade fishing as it will open up more areas to fish. 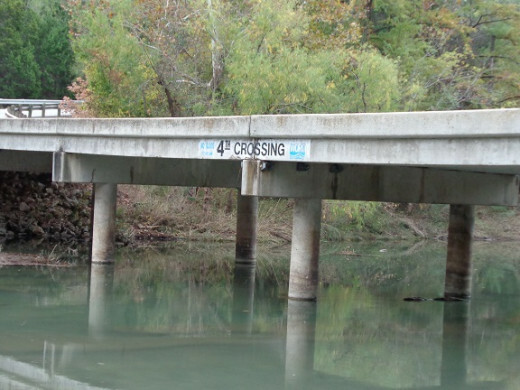 As a rule of thumb, if you remain in the water (or keep at least one foot in the water) when wade fishing, you are not trespassing on private property. This will allow you to fish upstream and downstream of the campground's riverfront property. 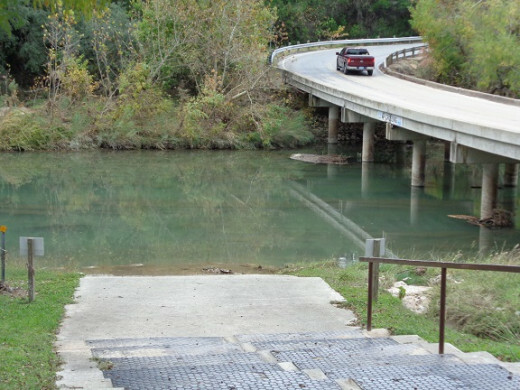 It is located near a TPWD and GRTU Trout Stocking Location where a majority are caught and released by fishermen as it is well within the Special Regulation Zone. Wade fishing is good - weather / river conditions permitting, allowing more access to areas that are holding fish. Moreover, because it is in the Special Regulation Zone, the Rainbow Trout tend to be larger than others stocked outside of the Zone. Do check out the following section below - Map of the Area, for more information about fishing in the area! Area A - This area is nearest the Fourth Bridge Crossing and has deep pockets and holes that can be easily seen when wearing polarized glasses. Note where the current slows and/or the deeper areas. Look for Trout resting out of the current waiting for a tasty morsel to come by. 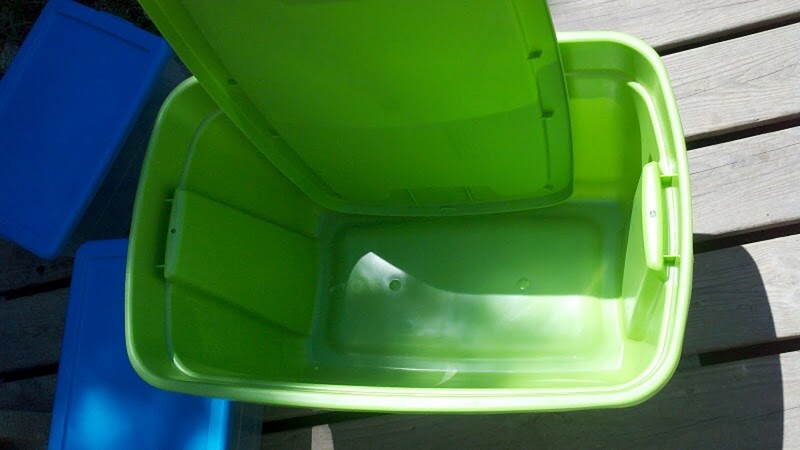 Also, keep a low profile, as the fish will spook as they move in and out of the area. Area B - As you move upriver and past the River Access Point, you will approach Area B. Note the gaps between the rocks and the channel that runs mid-river. This area will hold trout at times. If you scan the area from the high bank, look for shadows and surface activity that give notice of fish lurking in the area. Area C - Next is a shallow area with runs and pockets that can hide a Rainbow Trout. Located below the high cliff that sits across the river, pay close attention to any movement and be prepared to sight cast. However, if given a choice would fish Areas A and B before opting for Area C.
Area D - Last is the upper run that is upriver from Area C. It is on the borderline of the resort's property and private property, so be cognizant of where you are to avoid trespassing. There are submerged rocks and a channel that runs downriver from the rocks that will hold fish or two. But, do step lightly as not to spook them. Also, look closely as well as the fish may likely be Sunfish and Bluegill or a Bass instead of a Rainbow Trout. PS: Although not shown on the map above, downriver of the Fourth Crossing Bridge, the area just past the bridge is a good location for Rainbow Trout. There is a deep pool and submerged rocks as well as pockets where the fish tend to lurk. Be prepared to see Rainbow Trout moving in and out of the area. 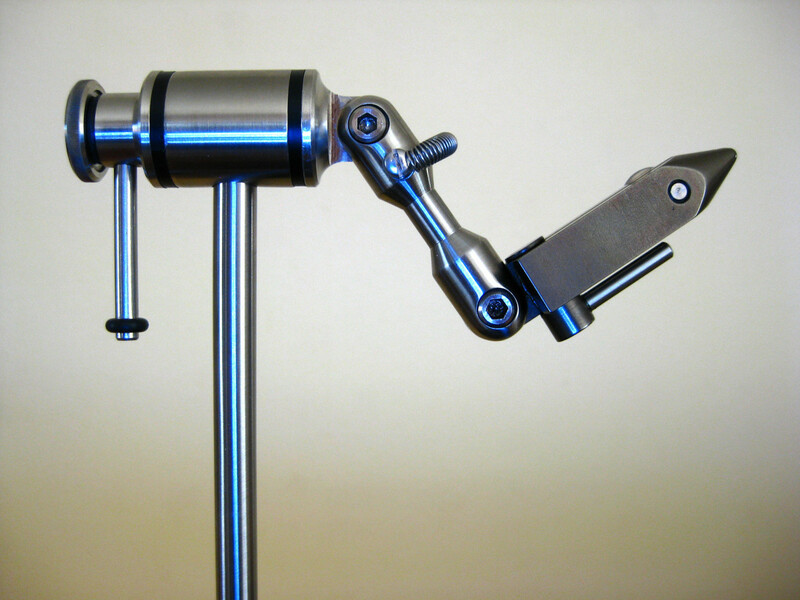 Also, be prepared for them to ignore your fishing flies as you try every pattern you have in your fly box! Note: To access this location, wading the river will be required as the riverfront property on both sides of the river is privately owned. 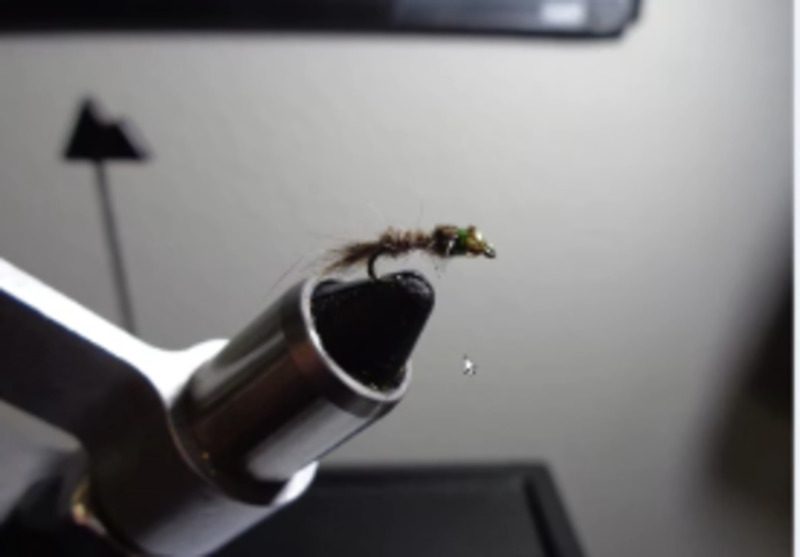 For Fly Fishermen, Wooley Buggers, Gold Ribbed Hares Ear Nymphs, Prince Nymphs, Flashback Pheasant Tail Nymphs, Midges, and San Juan Worms are a good start. But, do checkout the locally tied fishing flies as well as the Guadalupana - a local streamer variant that is effective for Rainbow Trout. Also, keep WD40s and RS2s at the ready in size 18,20, and 22. Trout fishing is a blast. I live in a state where trout are natural occurring in streams. They are actually pretty easy to catch, although in most areas they are small. Some of the desert streams on the east side of the mountains have trout that can run to several pounds. 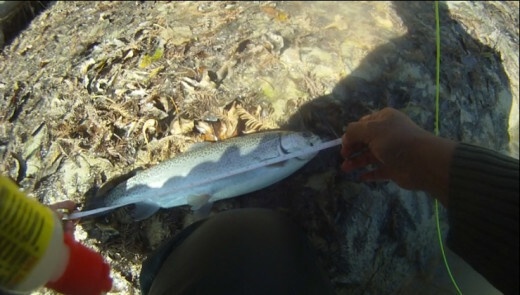 Here is a new HubPages Article that we hope readers find useful when fishing the Guadalupe River for Rainbow Trout!